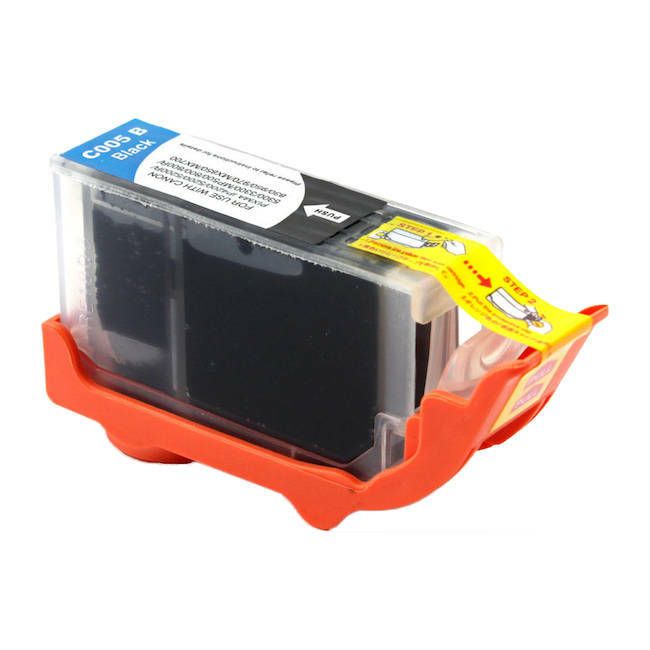 The Canon PGI-5BK compatible cartridge is the wider of the two black cartridges compatible with the printers listed above and it contains an impressive 28ml of ink. 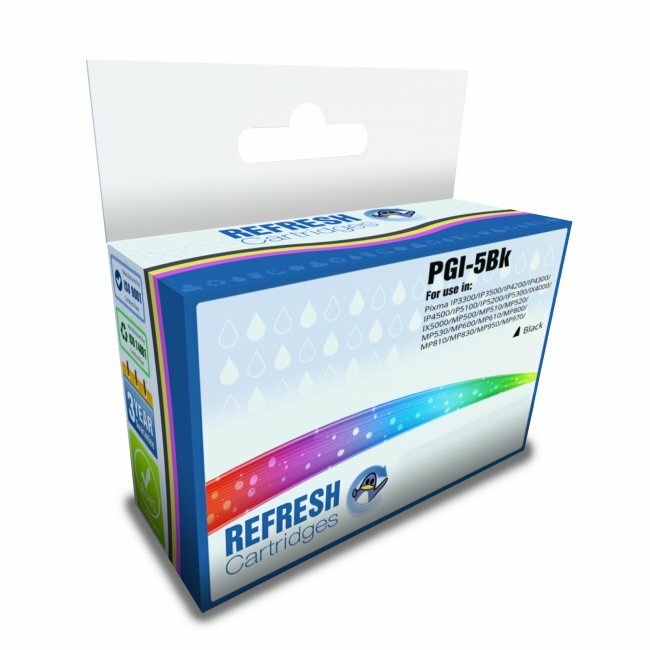 This compatible PGI-5 black ink cartridge offers a substantial saving when compared to the Canon PGI-5 original cartridges, but it still offers comparable print quality. 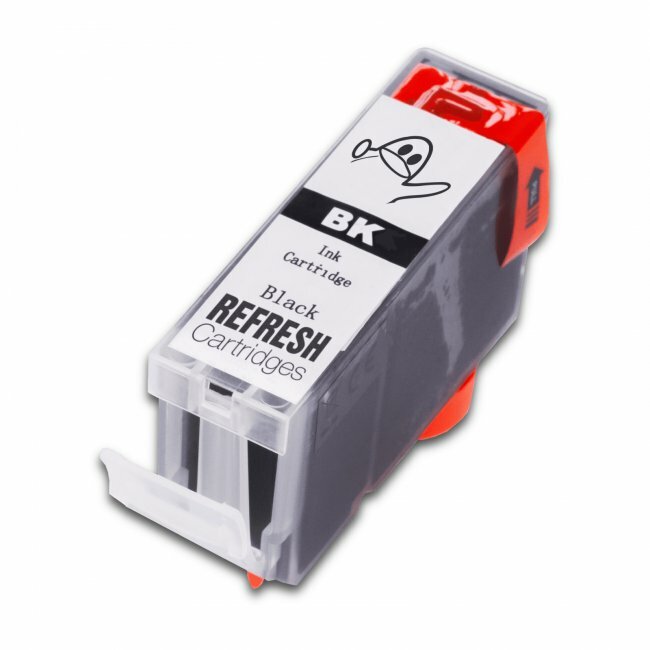 Every cartridge we stock comes with a 100% satisfaction guarantee and all prices include VAT and delivery. First time used. Seems fine so far. I still use Canon ink for any photos I need to last a while though. 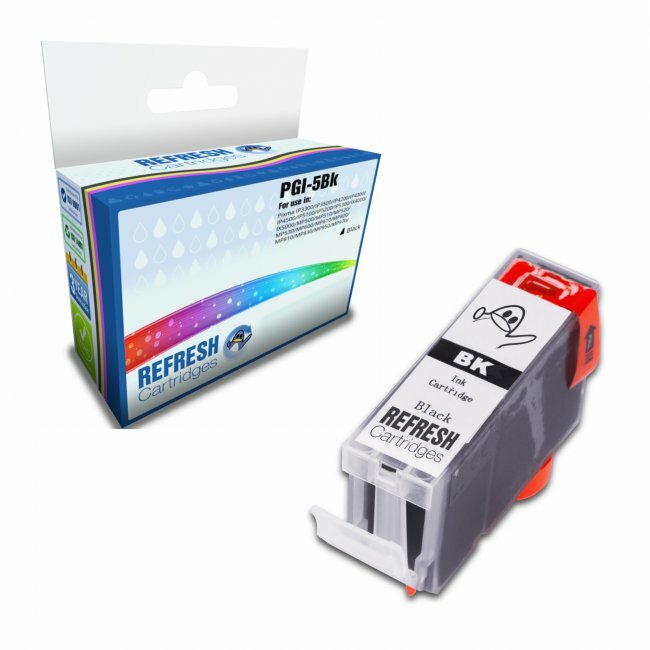 They are good and cheep, and never become clogged if the printer hasn't been used for a long period. Excellent. I have also had laser toner from you and it is excellent, and a great saving. Good price, excellent quality, fast delivery. Had a problem with one cartridge - but that was quickly replaced FOC. No complaints at all using compatible cartridges. Only used once so far but prints well.